Plans to streamline outfitter and guide permitting will go a long way towards opening up our public lands to all Americans. Last June, we told you about the Forest Service’s historic plans to streamline outfitter and guide permitting, shifting from heavy regulations to an inclusionary model that helps organizations, like The Mountaineers, get people outside. Now, we’re happy to report their efforts are continuing to pick up steam. 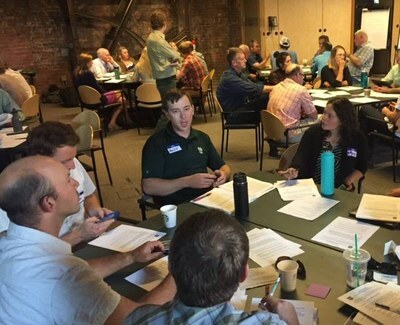 On September 28, the agency held an open meeting at REI Denver to discuss their permitting transformation with outfitters, guides, and outdoor industry leaders. The room of 70-some people buzzed with energy as all sides embraced the chance to discuss processes, obstacles, and future opportunities. The parties hope to introduce more people to our public lands and through that introduction create conservationists, boost recreation economies, and help break racial and economic barriers to the outdoor experience. For The Mountaineers, this progress is especially heartening, as it stems from the efforts of Outdoor Access Working Group, the coalition we helped form two years ago and serve as steering committee members on. Together, we’ve been able to create a unified voice capable of partnering directly with land managers to prompt change. As part of its mandate, the Forest Service balances all types of land use, including mining, timber, and oil. That makes the prioritization of recreational access all the more impressive. This streamlining process calls for improving the management of 23,000 recreation special-use permits, retraining staff to issue minimal impact waivers, and investing $6 million in an online permitting system. And they’re doing all this despite having a budget strained by funding cuts and fighting wild fires. Their commitment is a good sign for everyone hoping to preserve our wild playgrounds for generations to come. Outdoor experiences on public lands generate over 13 billion dollars in revenue and support approximately 205,000 jobs nationally. With streamlined permitting, the Forest Service hopes to become allies to the outfitters, guides, lodges, and educational organizations that make the recreation economy tick. In the words of Tinnelle Bustam, the assistant director of recreation for the Forest Service, “We have a strange tendency of gearing toward ‘no’ rather than gearing toward ‘yes.’ We want to pivot from no and pivot toward yes.” Saying yes more means more revenue to local recreational economies. People fight to protect the places they know and love. For those new to the outdoors, guides and outfitters are a bridge to our wild places. They shepherd newcomers into the vast beauty of our public lands and teach them proper wilderness ethics. For many, this is the first step towards becoming a conservation champion and fellow steward of the backcountry. Rachel Vermeal, membership director with our partners at Colorado Mountain Club, is thrilled to gain the Forest Service's support saying, “It’s more about moving to a ‘yes-first’ approach to see how we can work to get the public into public lands and creating systems that actually involve less work on both sides… Our want for (the) public is to make sure they have the education and access to skill-building opportunities to allow them to enjoy this awesome outdoor playground … and do it safely.” Having the Forest Service streamline permitting means that we are ultimately creating more responsible stewards and backcountry travelers. 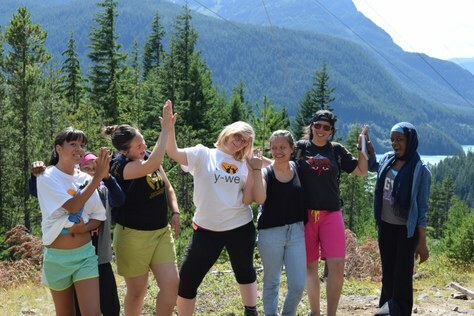 Easier permitting empowers nonprofits across the nation to introduce disadvantaged and under-resourced youth to outdoor experiences. In the past, these organizations faced regulatory challenges when trying to plan trips. Last March, Secretary of the Interior Sally Jewell issued an order addressing the problem, stating “By streamlining the permitting process, we can knock down barriers that stand in the way of welcoming young people to enjoy, explore and experience nature.” The Forest Service’s plans put Secretary Jewell’s words into action – a big step towards opening up our public lands to all Americans. Adventure Journal: "The Forest Service Wants to Be Your New Best Friend"
The Denver Post: "Forest Service proposes a “cultural shift” for more access to public lands"
The Gazette: "To the pleasure of Colorado's outdoor industry, Forest Service promises simpler public lands access"
Plans for meetings in Los Angeles and Seattle are in the works - stay tuned for more information! If you have questions or are interested in getting involved, contact Katherine Hollis at katherineh@mountaineers.org. Thanks to the Association of Outdoor Recreation and Education for the meeting photo.